Roberto Benigni (born October 27, 1952) is an Academy Award-winning Italian film and television actor, writer and director. Benigni was born in Misericordia, a frazione of Castiglion Fiorentino, province of Arezzo (Tuscany) and raised in Manciano. His first experiences as theatre actor began in 1972, in Prato. In the autumn of the same year he moved to Rome where he took part in some experimental theatre spectacles, some of which he also directed. In 1975 Benigni met his first theatrical success with Cioni Mario di Gaspare fu Giulia, written by Giuseppe Bertolucci. Benigni became famous in Italy in the 1970s for a shocking TV series called Televacca, by Renzo Arbore, in which he interpreted the satirical piece “anthem of the melting body” (L’inno del corpo sciolto), a hymn to defecation. A great scandal for the time, the series was suspended due to censorship. His first film was 1977’s Berlinguer ti voglio bene, also by Giuseppe Bertolucci. Afterwards, he appeared during a public political demonstration of the Italian Communist Party (of which he was a sympathiser), and in this occasion he took in his arms and dandled the national leader Enrico Berlinguer, a very serious figure. It was an unprecedented act, given that until that moment Italian politicians were proverbially serious and formal (and Berlinguer was perhaps the most serious of them all); it represented a breaking point, after which politicians experimented newer habits and “public manners”, attended fewer formal events and, generally speaking, modified their lifestyle in order to exhibit a more popular behaviour. Benigni was censored again in the 1980s for calling the Pope John Paul II something impolite during an important live TV show (“Woytilaccio”, meaning “Bad Woytila” in Italian). His popularity increased with another Arbore’s show, L’altra domenica (1978), in which Benigni portrayed a lazy film critic who has never watched the movie he is called to speak of. Benigni’s first movie as director was Tu mi turbi (You upset me, 1983). On the set he met the Cesenate actress Nicoletta Braschi, who was to become his wife, and who has starred in most of the films he directed. With the very popular comic actor Massimo Troisi, in 1984 he played in Non ci resta che piangere (“Nothing left to do but cry”), a fable in which the protagonists are suddenly thrown back in time to the 15th century, just a little before 1492. They start looking for Columbus in order to stop him discovering the Americas (although for very personal love reasons), but are not able to reach him. Beginning in 1986, Benigni starred in three films by American director Jim Jarmusch. In Down By Law (1986) he plays Bob, the innocent abroad, convicted for murder, whose irrepressible good humour and optimism help him escape and find love (also starring Braschi as his beloved.) In Night on Earth, (1991) he plays a cabbie in Rome, causing his passenger, a priest, great discomfort by confessing his revolting sexual experiences. Later, he also starred in the first of Jarmusch’s series of short films, Coffee and Cigarettes (2003). In 1993, he starred in Son of the Pink Panther, directed by veteran Blake Edwards. There, he played Peter Sellers’ Inspector Clouseau’s illegitimate son, who is assigned to save the Princess of Lugash. The film bombed in the US, but was a hit in Italy, his home country. A serious role was in Federico Fellini’s last movie, La voce della luna (1989). The former years Benigni had started a long-lasting collaboration with screenwriter Vincenzo Cerami, for a series of films which scored great success in Italy: Il piccolo diavolo (“The little devil”, with Walter Matthau), Johnny Stecchino (“Johnny Toothpick”), and Il Mostro (“The Monster”). Benigni is probably best known for his 1997 tragicomedy Life Is Beautiful (La vita è bella), filmed in Cortona and Arezzo, also written by Cerami. The film is about an Italian Jewish man who tries to protect his son during his internment at a Nazi concentration camp, by telling him that the Holocaust is an elaborate game and he must adhere very carefully to the rules to win. Benigni’s father had spent two years in a concentration camp in Bergen-Belsen, and La Vita è bella is based in part on his father’s experiences. 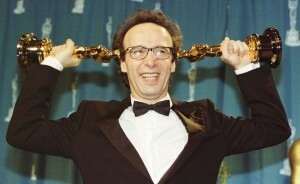 In 1998, the film was nominated for seven Academy Awards and Benigni personally won the Best Actor (the Best Foreign Language Film is awarded to the film itself, and is often mistaken to be awarded to the director because Academy rules stipulate that he or she will accept the award). The score by Nicola Piovani also won an Oscar. Famously, in the midst of being so giddy with delight, he climbed on the back of the seat for his procession to the stage and applauded the audience after he was told he had won one of his Oscars. The next year’s ceremony, where he read the nominees for the Academy Award for Best Actress, the host Billy Crystal playfully appeared behind him with a large net to restrain Benigni if he got excessive with his antics again. Benigni also was one of the main characters in Asterix and Obelix Take On Caesar as Detritus, a corrupted Roman tax collector who wants to kill the Caesar and claim the throne of the Roman Empire. As a director, his 2002 film Pinocchio, one of the most costly films of Italian cinema, was coldly received by critics, and bombed in North America. That same year, he gave a typically energetic and revealing interview to Canadian filmmaker, Damian Pettigrew for Fellini: I’m a Born Liar (2002), a cinematic portrait of the maestro that was nominated for Best Documentary at The European Film Awards, Europe’s equivalent of the Oscars. The film went on to win the prestigious Rockie Award for Best Arts Documentary at the BANFF International Television Festival (2002) and the Coup de Coeur at the International Sunnyside of the Doc Marseille (2002). Benigni’s latest film is La tigre e la neve (The Tiger and the Snow, 2005), about the Iraq War. On October 15, 2005, he performed an impromptu strip tease on Italy’s most watched evening news program, removing his shirt and draping it over the newscaster’s shoulders. Prior to removing his shirt, Benigni had already hijacked the opening credits of the news program, jumping behind the newscaster and announcing: “Berlusconi has resigned” (Benigni is an outspoken critic of media tycoon and former Prime Minister Silvio Berlusconi). The previous day, he led a crowd of thousands in Rome on Friday in protest at the center-right government’s decision to cut state arts funding by 35 percent. On February 2, 2007, he was awarded the degree of Doctor Honoris Causa by the Katholieke Universiteit Leuven, Belgium.